Moving Out for Uni: What to do With Your Old Things - Winningback | Shopping and Finance Blog, Reclaim your finances today! Starting university can be a very exciting time for any young person, but it can also be a bit daunting for those who will be moving out to student digs. There are many different things that need to be considered by those who are moving to student accommodation, including the issue of how much space you will have. As a student, you have to be very selective about what you take with you when you move out, as you won’t have the same amount of room that you might have at your parents’. This means sorting through your things, ranging from DVDs and CDs through to your clothing, to see what you plan to take with you and what you might need to get rid of. Pass them on: You may have friends or siblings who can make use of things such as your DVDs, books, CD, electrical gadgets that you will not be taking – even unwanted clothing. By passing them on you can ensure that they go to a good home and not to waste. Donate them: If you want to do your bit for a good cause, you can consider taking your unwanted items and clothing to a charity shop. Charities will accept all sorts of items, so whatever you are looking to get rid of, check if charity shops can make use of it. Selling your items: When you move away from home into student accommodation, you will need every spare penny you can get. Selling your old things is a great way to make some extra cash while also de-cluttering and getting rid of things you won’t be taking with you. 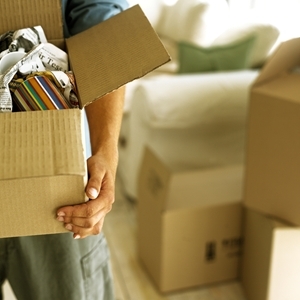 You can sell used clothes, DVDs, CDs, gadgets, and more, giving you some extra money in your pocket when you move out. You could also have some fun and use the extra cash for a quick flutter on Partybingo.com. Hang on to some items: You many want to consider keeping some things at your parents’ house if they are happy for you to do this. You might go back and stay for the holidays and perhaps even some weekends, so it can be convenient to have some things to return to rather than having to keep dragging your belongings back and forth. The time when you move out to start university is the ideal time to have a proper sort out, and the above options will help you to streamline your belongings without having to throw decent ones away.